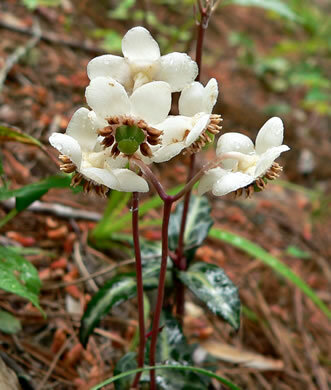 An acid soil indicator plant which grows at a pH of about 4.5, per Corneille Bryan Native Garden. 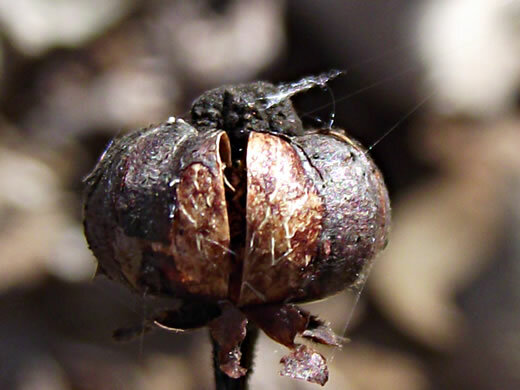 Capsule subglobose, splitting on the sutures from the apex to the base, per Vascular Flora of the Carolinas. 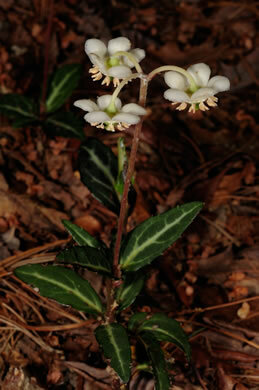 Five sepals united at base, per Vascular Flora of the Carolinas. 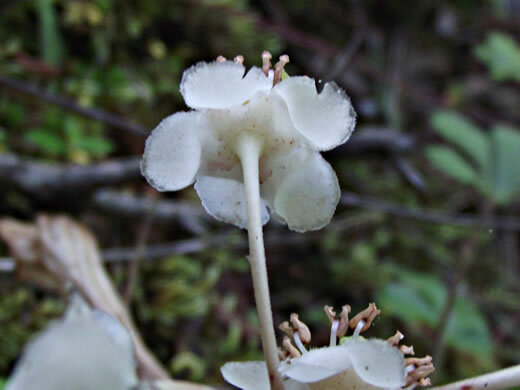 10 stamens each with a pair of conspicuous tubular anthers, per Wildflowers of the Southern Mountains. 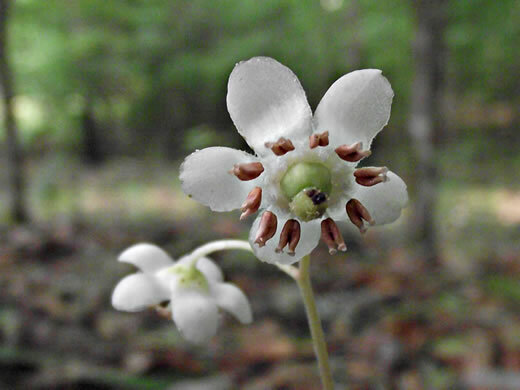 Small clusters of nodding waxy flowers at the top of the plant, per Wildflowers of Tennessee, the Ohio Valley, and the Southern Appalachians. 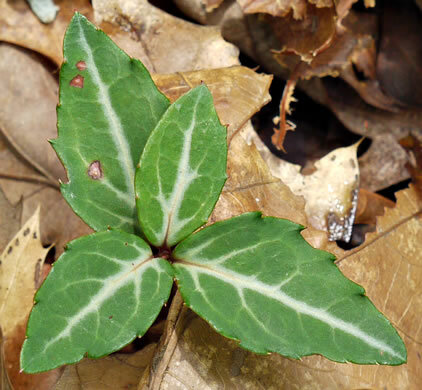 Leaves dark green with a whitish stripe down the middle, per Wildflowers of Tennessee, the Ohio Valley, and the Southern Appalachians. 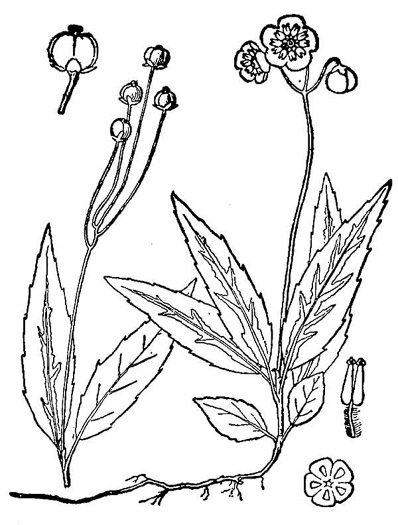 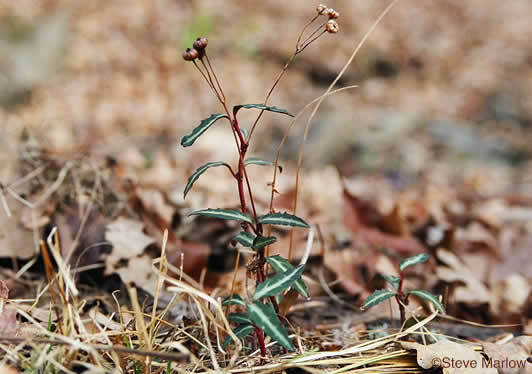 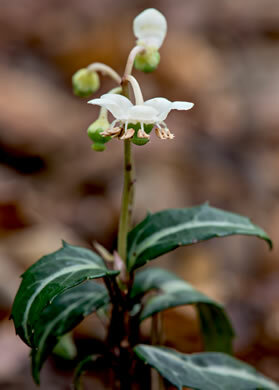 Leaves widest near the base with large distant teeth along the margins, per Wildflowers of the Southern Mountains. 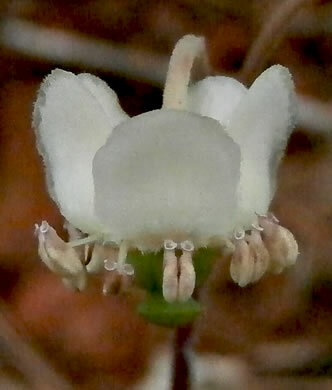 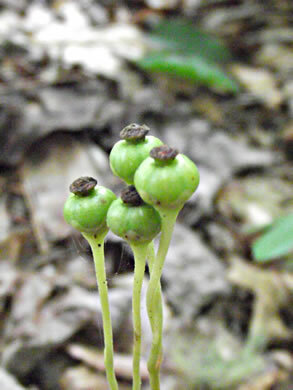 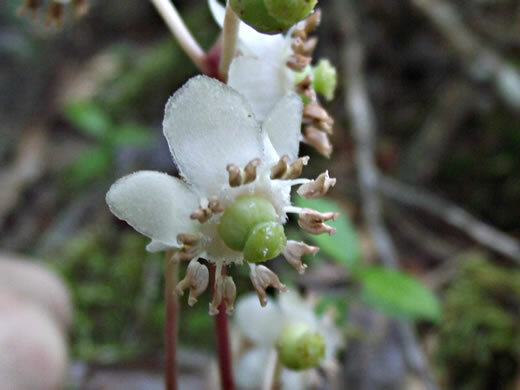 Although the flowers nod, the fruit capsule is erect, per Wildflowers of Tennessee.